First, Swiggy tweets something obscure hoping to run into trouble. And now the brand is asking people to make weird noises on Instagram voice note. What’s going on? Meaningless though it was, Swiggy’s ‘blueblahbleh’ post managed to rake in a fair amount of buzz online and quickly morphed into an appetiser for the brand’s main #SwiggyVoiceOfHunger campaign. The word voice in that hashtag campaign title is not metaphoric. The brand’s big ‘reveal campaign’, which was unveiled yesterday, is an interactive, crowdsourced effort by Dentsu Webchutney, that has at its core voice messages – essentially, the campaign leverages Instagram’s recently launched voice note feature by inviting people to recreate the shape of food items on the ‘sound wave’ of Instagram’s voice notes. All this is to be done in the direct messages (DM) inbox. The carrot: food vouchers from Swiggy, duh. 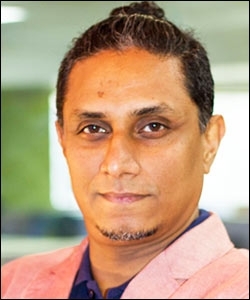 The idea was to create an “internet-first” challenge, executed in the most “internet way possible”, GD Prasad, client services director, Dentsu Webchutney, Bangalore, tells afaqs!. Well, the campaign caught our attention because it takes a specific feature on a social media platform and dives into it; imagine a brand using Facebook Messenger’s pop-up icon to push a campaign. And because it’s about audio and voice. Most UCG-based digital campaigns are primarily about photographs. Many service-based brands have been using direct messages on Instagram to tackle customer grievances/feedback. He says, “Initially, we were skeptical about whether users would take to having fun with a platform like Direct Messaging, which was used as a CRM platform. But user behaviour was in our favour. They spoke to us like they would with a friend on Instagram. A backend challenge was to make the voice notes public to get more people to participate…” Enter: the Insta-feed, of course. 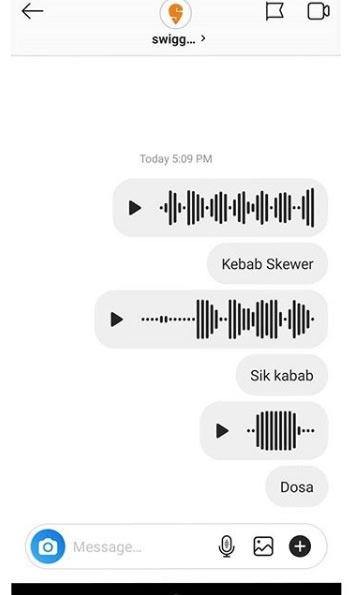 By the way, the ‘bluueeblaahhhbleehhhblueeblahblehblue’ blooper actually forms a kebab when tried on a voice note. 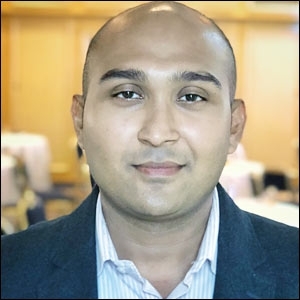 The campaign will continue for the next few days with a variety of influencers – we already see Rohan Joshi and Shreya Mehta in the mix – and content partnerships. We wonder whether the team can think of a way to take this offline. Make sounds at your Swiggy delivery guy and win… never mind. 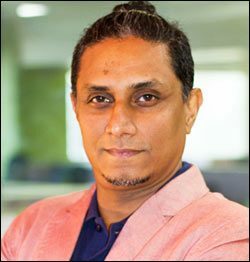 Note that while Swiggy’s campaign was just taking off, Millet Smoothix, a cereal-based drink brand from Soulfull decided to hitch a ride on it. Good noise or bad noise? “I feel the biggest friction point is the fact that you need to take time out to create a sound wave that resembles a food item/dish. It’s to be seen how many people will take the time for this exercise. 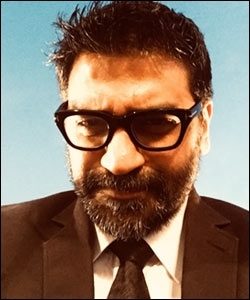 My guess is, there will be a lot of kebabs and shawarmas in the entries,” D’Silva adds. 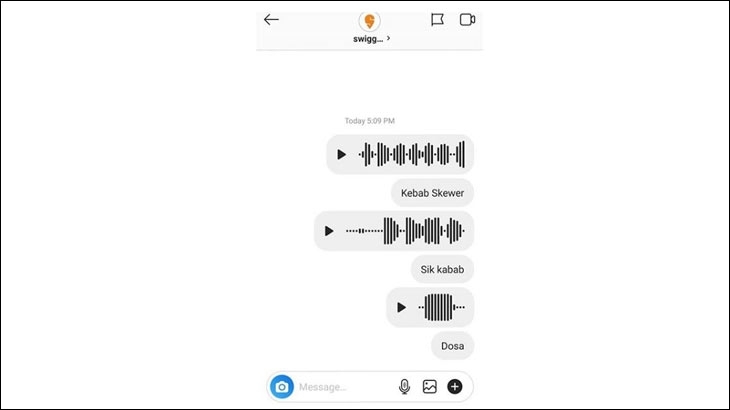 Porus Jose, creative head, IdeateLabs, finds the campaign intriguing because Swiggy moved in quickly after Instagram introduced voice notes. “It scores well on relevance, quirkiness and newness. I can’t see why it won’t cut ice with the young TG. In this category brands need to relentlessly do something to be in the interest set. It’s a great campaign,” he says.